An otherwise non-descript street in a residential Northeast DC neighborhood, has been livened by the installation of two new benches. Thanks to a grant by the Awesome Foundation and painter Haider Ali, the bright benches are a welcoming contrast with the greys, whites, and browns of the street, houses, and bricks found on Michigan Avenue NE. The benches themselves are comfortable and much different than the government-installed bus benches that are sit feet away. Those benches, barely large enough to allow riders to rest more than a few inches of their body, are possibly an example of deliberately inconvenient public design to discourage extended use. The Pakistani truck art-styled benches have ample space for two people to comfortably sit and enjoy Haider’s colors and details. Each bench has its own character and set of colors, yet both have traditional truck art motifs, adapted slightly for the US. 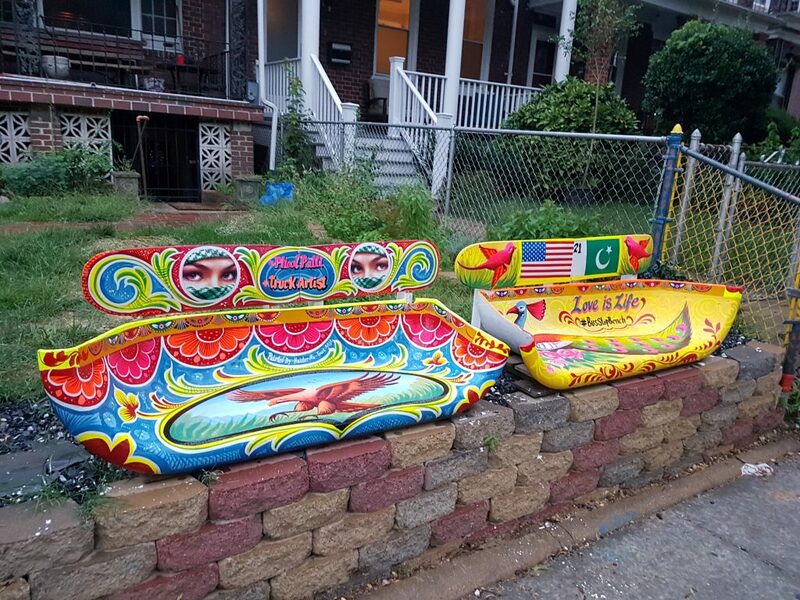 One bench has the Pakistani and American flags, along with a majestic peacock that covers the length of the bench. The other bench is centered around an eagle, another common motif, and topped by women’s eyes. 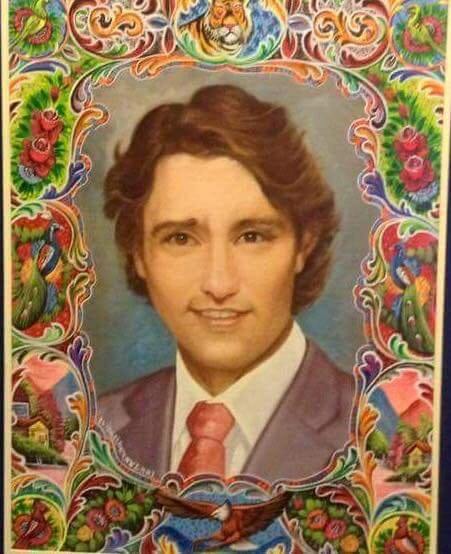 Unlike the rest of the work which is painted with acrylics, the eyes are printed stickers.